The temperature was around -12Cels, which isn’t all that cold, but the ice fog that resulted as the sun rose clear and strong is fairly unusual. 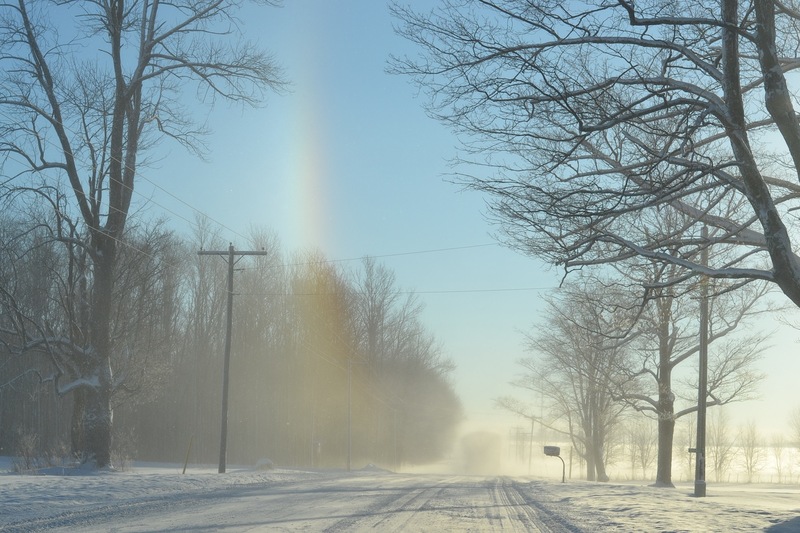 As I followed a seed truck, I noticed a nice little sun dog formed by the combination of ice crystals and brilliant sunlight. wow that is a really beautiful moment you captured! Thanks CBL. I was following the seed truck down a country road and, when I noticed the sun dog, I quickly stopped my car and took the pic. I’m glad I did.